Check out our telehealth infographic with the latest facts and figures for this popular benefit. Telehealth operates subject to state regulation and may not be available in certain states. Consults are not available outside of the U.S.
Posted in Infographics, Image format on January 27, 2015 by newbenefitsblog. 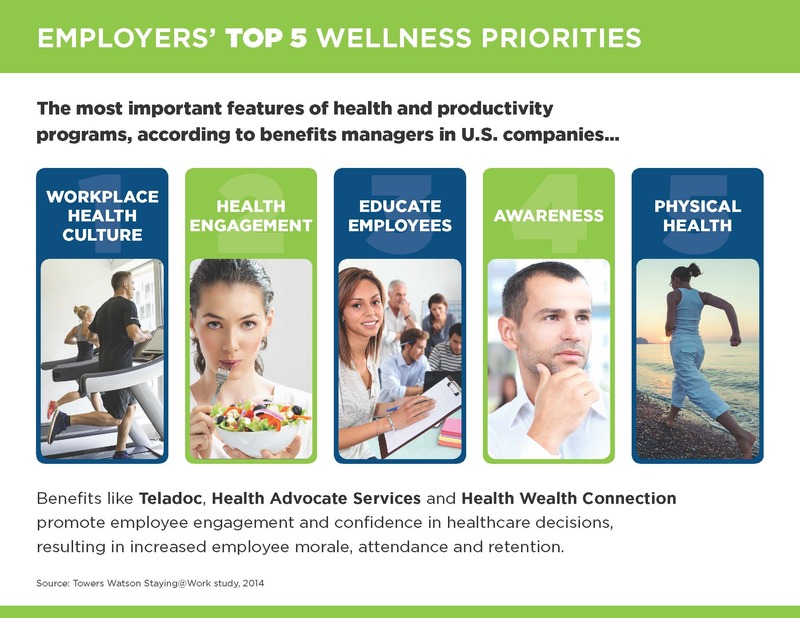 INFOGRAPHIC: What are the Top 5 Wellness Opportunities for Employers? 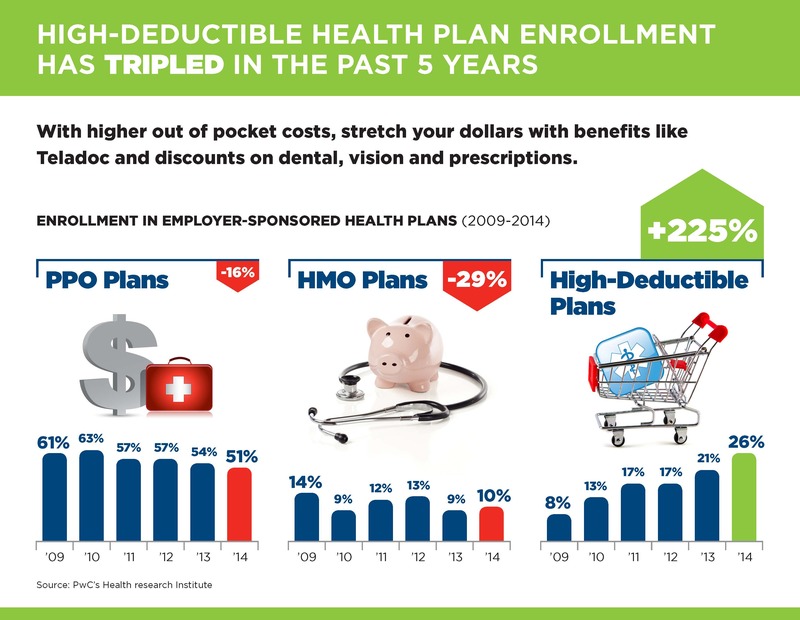 Posted in Infographics on August 15, 2014 by newbenefitsblog. Enrollment in PPO and HMO plans has declined in the last five years. Consumers transitioning to a high deductible plan may be losing their first dollar coverage and struggling with the increased out-of-pocket costs. Now is the time to introduce non-insured benefits like Teladoc and discounts on dental, vision and prescriptions to help consumers stretch their healthcare dollars. Posted in Infographics on August 8, 2014 by newbenefitsblog. 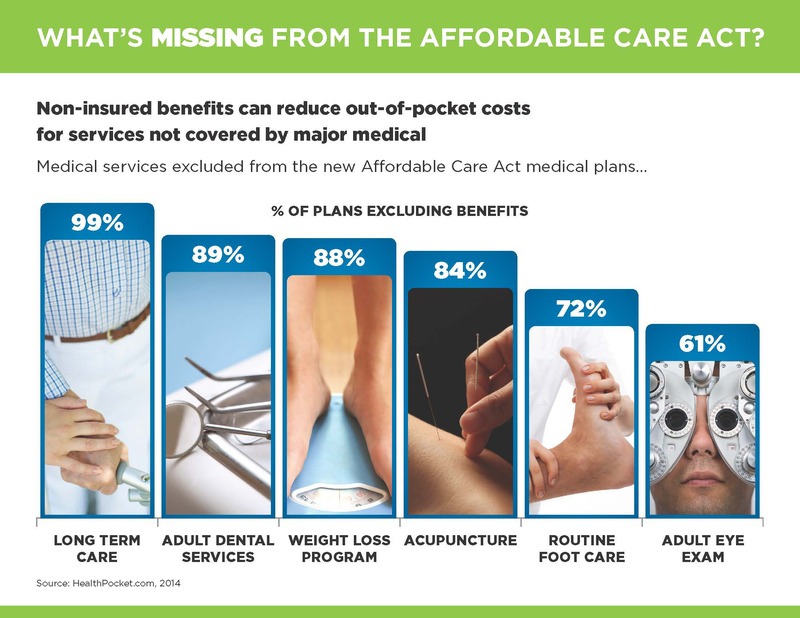 Infographic: What’s Missing From the Affordable Care Act? Posted in Infographics, Image format on July 24, 2014 by newbenefitsblog.